Today, I've got some fun textured gradient nails to show you. I've been intrigued by the idea of doing a gradient with the liquid sand finish every since I got my first one, so I finally decided to give it a try. 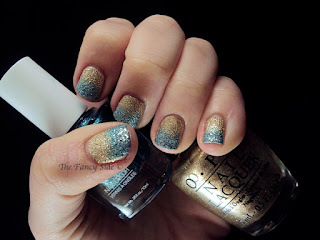 For this look, I've used a base of OPI Honey Ryder (gold) and then sponged on the tips with Julie G's Rock Candy (teal). I really enjoyed this look and the texture of the polishes made doing this gradient super easy. What do you think of the textured polishes? Still awesome or are you over it? I'm in the "still awesome" group! I love textured, that is so cute with the blue and gold! I normally use it for accents, but this makes me want to do more. Thanks sweetie. You should give it a go. I bet it'll look gorgeous on you. Oh man I really like this color combo!!! I don't have Honey Ryder nor did I want it that badly... till now!! However, since I still haven't used my Julie Gs I better lay off the buying of textured polishes. :-/ It's funny you ask about the textured polishes because I just typed up (mostly copy and pasted, ha!) 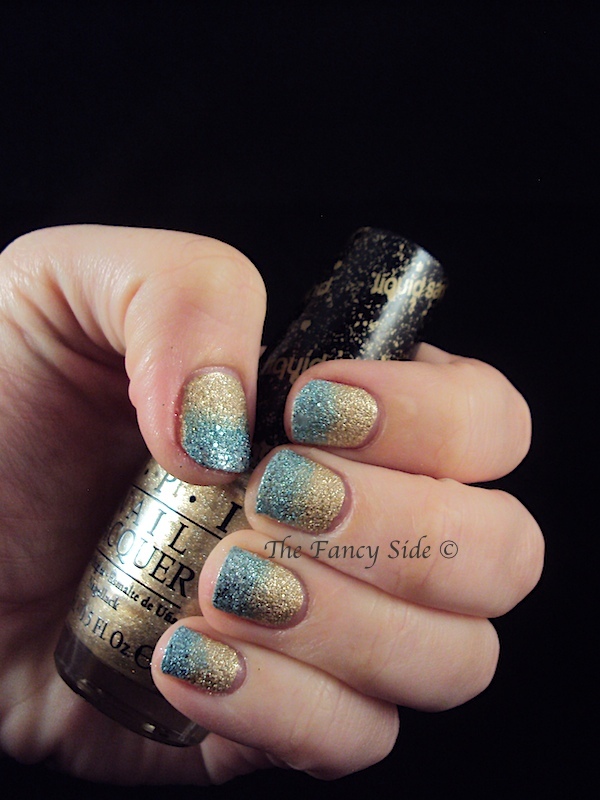 the press release for the zoya fall collex and I was thinking about that. I think they're like on the verge of being "out" but still barely hanging on by a thread. The funny thing is that I NEVER see them worn by "regular" people, yet I see that everyone and their mother (brand wise) are making them... go figure. I have seen a few friends wearing them in public, but I don't think everyone loves them as much as self proclaimed Lacqueristas do. I have yet to try any of the Zoya ones, but I do like some of their colors. I have a texture issue. I'm really weird about them and these honestly don't bother me at all. Take a chance with one and see what you think.